Sealing the Reibi: Can BroBro be Saved? Re: Sealing the Reibi: Can BroBro be Saved? Ray continued with his kick, however to free himself the Gray hand still appeared only sooner than Ray needed forcing his brother to jump away but not before his caught leg froze over a bit. Luckily Ray avoided any other effects Jay had coming due to the gray hand appearing and attempting to smash the man. With Jay jumping away an onto a building Ray corrected himself to stand upright, quickly, and looked to his brother. "Feisty eh. Show me what that blue cat of yours has done for you." Ray called out to the Nibi to agitate her. As he spoke, Ray releases Raiton chakra utilizing the Raiton no Yori drastically increasing to speeds even the Sharingan can't track while also adding to his defense and attack powers. Giving a slight smirk Ray then utilizes the Raiton no Yori's speed enhancement to appear several meters high above Jay. While above his brother, Ray built up bakuton chakra and in a swift moment, seconds after appearing above Jay, threw a punch downward. The punch thrown would be a simple Jiraiken however the blast is rather large due to the amount of chakra thrown into making the exploding fist. The ensuing explosion easily engulfs his brother and the house, as well as any other nearby buildings in a 10 meter radius. Normally one would fear the explosion bouncing back towards the user, however since Bakuton explosions are always in an outward direction Ray would be in no danger of his own move. Ray lands in a nearby tree awaiting to see what his brother does in response or if he turned to ash since the time given for Jay to avoid it would be at most a few mere seconds. The man had to admit that he’d zoned out for a moment, why else would he have forgotten about this fight. But now that he was out of his stupor, the sight of his brother activating the seemingly classic, Lightning Release Chakra Mode technique, and use it to close the distance between the two of them made him react. And react he did, by thrusting his hands up towards his brother in defense, he would surge chakra through them. The surging chakra would have one purpose with extra juice. The technique would be the Cero technique with a high speed approach… which is essentially the Bala technique firing towards his brother and the oncoming explosion. With the extra chakra, the Nara aimed to significantly negate the explosive release technique. With his prior knowledge of the chakra composition, he was aware of how much force was needed to handle the job. Unfortunately, he didn’t have the prep time to do just that, but his impromptu action was enough cut the explosive force down by 50%. This doesn’t seem like much, considering it’s still an explosion and it managed to overpower his own attack. But, the drop in force was enough for his Apex Aura/Strongest Shield combo to tank the rest of the damaging explosion. The man would be left in the epicenter of his technique's area of effect, the dirt and debris hiding his body. "Suddenly using that chakra armor, I have to say, I'm a bit disappointed. In some way, that has to be cheating." The man intentionally waited for his own words to finish before he strengthened the air currents around him, blowing the dirt and debris away with the strong winds. The man hadn't sustained damage because of his Strongest Shield, but his hoodie was definitely not explosive resistance... fire, yes, but not strong concussive force. It seemed two explosions was definitely its limit and it was definitely sad. The tatters it had been reduced to caused him to rip the rest of it off his body, revealing the holsters that housed Cain and Abel, leaving them to bounce around a bit against his sides because of the winds from his Wingless Flight. Reactivating it proved to be a wise choice because now he was once again hovering above a space his brother had destroyed. "I'm not sure you have what it takes to see how she benefitted me. You'll have to force it out of me, dear brother." The man said, getting an idea. He increased the rotations of the wind around his brother's position by such a strong, potent, degree that an EF4 tornado was created nearly immediately. The winds tightly circling at 189 mph would work against his brother's Lightning based chakra mode, lowering its effectiveness while also aiming to confine the man to the inside of the six feet wide, ten feet high vortex, all centered around his brother's position. He remained where he was, knowing the large blades of wind in the vortex would pick at the rest of his brother's lightning armor and he was only waiting for the response he knew was going to happen. Of course, he was sure his brother attempt to flee with the shift of wind, so he was prepared in that event as well. Ray only shrugged at his brother initial question, however its not like he couldn't get around his armor as his brother proved very quickly as a tornado encases Ray. The sharp winds cut through, the armor doing its best but failing quickly due to nature weakness. Ray, to avoid being chopped to pieces, quickly decided to disperse this terrible wind storm. Charging bakuton in both arms Ray, whom is keeping aflot due to the winds now, aimed each palm at their respective sides before unleashing bone shattering concussive force with dual outward explosions. Luckily Ray did not suffer damage from his own attack as the blast over powers the winds completely halting the process of the tornado thus canceling it. Ray examines his body an notices he didn't get away completely unhurt. several lacerations decorate his body and chopped away his clothes. With a simple snort, Ray removes his hoodie as he lands on the ground with a small thud. The removal of his hoodie showcased the many scars obtained throughout his lifetime from various situations along with several tattoos. "Well brother let us do just that then. 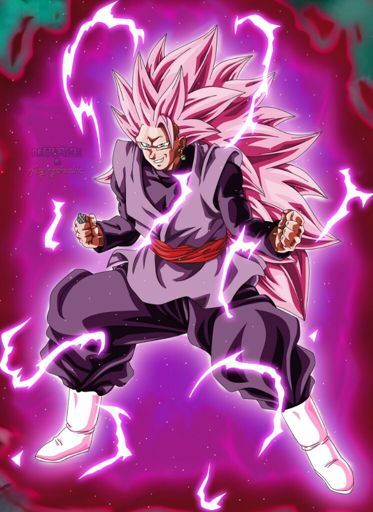 "Charging up his beast chakra Ray releases the Body Revival Technique, but almost immediately changes form as a purple aura wafts around Ray's body his hair changing into a spiker style. Entering his first level of chakra mode Ray chuckled. This chakra mode beefed Ray's body similar to Body Revival however, instead of healing Ray, trades it for durability and power. "This, Jay, is just the beginning of the power I wish to show you." With a single exhale Ray, opening his mouth, releases several (5) balls of fire from his maw at Jay, at high speeds. The fire balls each spanned 10 meters in diameter and strong enough to burn through steel. Stronger than normal thanks to the chakra mode, it also cost less chakra for Ray to produce as he awaits his brothers next move. The man smirked as he watched the wind blades making short work of his brother's lightning armor. The smirk fell as the Iburi acted before the large wind blades could slice into his flesh. Seeing the gathering of chakra in his brother's hands, the Nara would retreat backwards away from the resulting explosions that dissipated his tornado. Luckily for him, his winds were just strong enough to once again take the brunt of the explosive force and he landed on a roof a few dozen meters away from his brother. He kept his winds around him, though wondering when his brother would try to use them against him. Until it happened, he would focus on his brother as he powered into the first stage of his chakra mode. He could smell the Reibi's tainted essence and smirked. "Love the pink hair, brother. Rose is a good look on you~" He would obviously taunt his brother and the tailless leach residing inside of him. He was sure, from the power output alone, that he could stay as he was in his base form and still take his brother on. It was, nearing the moment for him to grow serious if his brother was going to continue to multiply his power. It was that moment of truth, the fireballs from his brother's maw rushed towards his position and he gave a smirk. He remained where he was as the fireballs rushed towards him, his darkened hand lifting towards the balls of fire as they impacted the cyclone of wind. As a fiery tornado was created, the rest of his skin would char because of it. His laughter soon penetrated through the fiery tornado as he waved his hands to release a force of wind so powerful that it broke the tornado with little effort. Ray would see his brother's darkened body, wisps of red, orange and yellow fires leaking from his skin at random moments. His clothing had been burned away, leaving him in shorts, because modesty and their massive heat resistance and his gun holsters because of their own heat resistance. Pretty shirtless now, the man would smirk as his technique covered his whole frame. Ray would be outside of the initial transformation, so the water in his body would be safe from heating up from the high heats radiating from the Nara. The man would beckon his brother forward, but wouldn't give him the opportunity to do such, as he rushed forward at blinding speeds, destroying the building he was on and aiming a punch to his brother's collarbone with enough force to not only shatter it, but to also send him flying backwards. If the initial punch landed, the Nara wouldn't remain still, giving chase and aiming to land multiple blows which was essentially Morning Peacock without unlocking any of the Gates. If the Nara was successful so far, the fifteenth consecutive hit to his brother would be a kick to solar plexus to launch him clearly across the city in a blaze of fire. Depending on his brother's durability, this could be the end of the fight, but if his brother had enough toughness in his chakra cloak to withstand the barrage of punches, then he'd come out quite injured, leaving the Nara to land on one of the nearby roofs. Even as he waited, he had to admit that it felt good to cut loose and he had to increase his brother's gravity seals if he hadn't gotten rid of them. The man still had an action, so he would activate his Theta State, so as to make sure he wouldn't be surprised with whatever his brother wanted to do. So far, his brother was showing himself to be quite the combatant. If it wasn't for his six months of real time training in a land that soaked up a lot more time than that, he would have already entered Sage Mode to keep up. Ray laughed as he saw his brother change into his new form. "Quite the interesting look brother, and thank you I enjoy this color very much." at the end of the sentence Ray gave a wink. With the wag of the finger to try and provoke Ray he instead moved to defend, ejecting a bit of chakra into the ground, as his brother certainly became a blur to his eyes only to reappear in front of him. To counter the punch thrown Ray simply threw one right back, thanks to his EMS Ray was able to slightly perceive where Jay intended to move. The colliding of fists from these two fighters let loose a shock wave that blows anything in a 100 meter radius away that isn't bolted down. Ray felt the heat his brother exuded as well as a bone crack, but he simply stays grinning. acted as it was supposed to, with two mud hands appearing on Jay's sides aiming to grab a limb, the closest being the man's feet. The mud hands, should they succeed in their endeavor in gaining possession his one of his brothers legs, begin to swing the man's body around and upon the ground bashing him before slinging the man hard enough to bust through several buildings hundreds of meters away from Ray. Being that the mud hands appear almost simultaneously after the shock wave gives Jay very little time to dodge. Ray regardless of if his brother escapes the mud hands and stays nearby or Ray has to chase the body of his brother Ray built smoke in his mouth and when he was ready, spit out a long smoke spike from his mouth strong enough to pierce diamond, though not go through, right near where his heart rested in an attempt to incapacitate his brother. The way his brother stopped his initial attack, piqued his interest enough to not even have him follow through with the rest of his intended plan. As it was derailed, he would promptly break the formation of his fist to have it twist and nearly immediately wrap around his brother's wrist. The Nara knew the chakra funneling the technique wasn't an explosion, so he wouldn't panic as strongly as he would have, knowing it was just going to be an Earth Release Jutsu. Anything of such a caliber would not pierce his skin, thus would proceed to move with such speed and agility akin to the feline inside him. His purpose with grabbing his brother's wrist would occur in the same moment the Earthen Hands aimed to grab his ankle. The Nara would brand his brother's wrist with the Prevention Seal (a thin circle with a diagonal line running through it), preventing the mixture of physical and spiritual energies. He wasn't intending to have it last for a long time, merely a moment, the Reibi's chakra being capable of breaking the simple sealing formula with a precise attack. So, with that in mind, he did it for the sole purpose of ensuring his brother didn't turn to smoke for the next few seconds, and of course, cancel the EMS his brother was sporting for the moment, causing him to need to waste an action to bring the ability back online. Because of two things, the Earthen Hands would soon fail their attempt to grab and swing him. The first would be the seal. It wouldn't cause the technique to destabilize or anything, but the connection to the Iburi's chakra reserve would make it much weaker now. The second would be his shadow reacting accordingly and slicing around his ankles to cut through the weakened bases(wrists), essentially making them ankle bracelets. With his final act, the Nara would proceed to yank his brother forward and deliver a swift and powerful punch to the man's abdomen. The punch would be laced with a significant amount of force and wind chakras, only ignited by the wisping flames of his armor. If the punch impacted as planned, Ray's Reibi laden being would be rocked by the powerful punch and an explosive cyclone of powerful hybrid blades. The Nara would be forced to release his brother because of this, sending him careening through the village, ablaze, cut up and severely out of breath, all the while having his chakra unavailable for the first five seconds of his unwanted trip through the empty town. The first stage of his brother's power, if fully sustained by the Reibi, would provide him with enough durability to withstand the some of the intended damage, but his brother would definitely be hurting afterwards. If his brother's chakra was needed in anyway to use the First Stage of his powerup, it too would be disrupted and his brother would be hurting a lot more than believed. Unfortunately for his brother, his entire attack would also disrupt the smoke attack that was planned as well, though this would be unbeknownst to the Nara. Ray took the hit from his brother dished out, coughing up blood when punched. In the first fie seconds of the flight, Ray indeed broke the seal like a twig, the Reibei helping with that circumstance. Two seconds later Ray is standing behind his brother, breathing hard and bleeding from the myriad cuts he obtained and in his right hand a ball of chakra condensed with wind commonly known as Rasengan. With a swift action Ray slams the ball of wind into the small of his brothers back just as quick as he appeared behind his brother. The impact of the rasengan, should it be successful in connecting, has more than enough force to send his brother flying forward in the path he made with his own punch and into nearby buildings that weren't yet touched. In fact Jay may help the Rasengans strength as any wind or fire that covered Jay's body only made the Rasengan that much stronger. As for how Ray was behind his brother that quick was due to the body flicker technique, hence why it took two seconds to occur. Ray also charged wind chakra mid flight after releasing the seal, so when Ray reappeared all he had to do was use the jutsu against his brother. "That was a nasty surprise" Ray spat, not only the words but a glob of blood as well, landing a few meters away. Turns: Break seal, Body flicker, Rasengan. The man watched for those five seconds, feeling as if it was entirely too much time for him to wait for his brother. So he prepared for his brother's retaliation, knowing a chase of his own would leave him partially exposed. His Eternal Mangekyo Sharingan would notice the disappearance and a smirk broke his lips. Due to the distance, he was able to track his brother as he moved at high speeds. It wasn't a perfect track, but it was good enough for him to determine where his brother might appear. 'Rooftop.' He would think to himself, forcibly pressing down on the rooftop with his right foot and seamlessly shifting his weight to the left. Familiar Sealing Sscript spilled out from beneath his sole and covered the rooftop as his brother made his reappearance. All chakra would once again be separated into their individual physical and spiritual states, his own included. It seemed his instincts were correct, already in the process of spinning his body counter-clockwise (to his left). In the swift pirouette en dedans, he would partially evade the brunt of the, now open-palmed, thrust, his right side receiving a piece of the thrust. The force of the strike was centered on the presence of the Rasengan, but without it, he knew his brother was still going to pack a bit of a wallop. It wouldn’t be enough to launch him across the town, simply because of where he was hit. He, being in mid-spin, would have picked up more than enough momentum in his spin to remain grounded, his outwards movement and his Strongest Shield providing him with just enough protection to brush off the strike with little interruption to his intentions. He would use a significant amount of force in the ensuing spinning roundhouse kick to his brother’s shoulder/back. The direction of the kick, if landed, would launch his brother through the rooftop, destroying the seal, and into the ground, with enough force to, not only create a crater, but to also burrow deep into the ground for several dozen meters. Thanks to the breaking of the seal, Jay would immediately follow through with the unsealing of Ignis and Ventum in his right hand, pressing them tightly together and throwing them down towards the hole of the crater with the same precision one might use to slip thread into the hole of a needle, with the added speed of a pitcher’s fastball, at the very end of his spinning motion. Once they were to break from crashing into a broken rock, the techniques inside would be released. From Ventum, a powerful tornado would surge to life, breaking apart the ground around it for a few meters, while it destroyed the mouth of the burrow. By itself, it posed absolutely no threat to his brother, simply because of how deep in the hole he’d be at this point. But, at the same time, perhaps even caused by the winds, or vice versa, would be the technique inside the other orb. From Ignis, a figurative sea of flames would burst from the broken orb. Due to the sheer lack of space from their birth, they would, first, turn the earth around them into molten magma from their extreme heat, to spew out the mouth of the burrow to form a tornado-like geyser of fire, and to also encompass his brother in those elements, due to their being little room to evade with the explosion of elements producing a large area of effect. Even if his brother was to utilize an earthen technique to evade, he would end up doing so through magma at temperatures relative to the surface of the sun. With his final act, even before the orbs had the chance to break, he would utilize the Flying Thunder God Technique to vanish and appear away from the wreckage to a previous points he’d been at towards the beginning of the RP. It was established that he was passively stamping the ground with each and every one of his steps on his bare big toe. The ground would be rumbling from the elements havoc upon the Earth, while the clouds above would begin to darken a bit from extreme heat from the flames. He would look on, fully aware that his brother still had the Reibi’s essence around him. Again, it would provide him with a bit of protection, perhaps not enough due to it only being in the first stage and Jay having kicked with a lot more force than necessary. [With that, I do believe warm-up time is over. Let’s end this fight and seal this leech.] Matatabi, surprisingly, would be the one to bring up the topic of ending the fight. Perhaps, she was growing bored? She was definitely certain the spark was gone and she wanted nothing but to sleep without the sounds of a fight rumbling in the background. Took the kick, and only waited for the seal to destroy does he use the same move yet again to dodge his brothers following attacks, placing him only 50 meters from where Jay landed. The kick hurt, but nothing he couldn't handle. With a chuckle Ray looked to his brother "It's time to kick this up another notch no?" With this Ray began to power up again, his purple aura becoming darker and deeper in color. His hair grew even more to become long enough to touch his back. His body now slightly faster and stronger than his previous form and much more sturdier, it was almost as if he had the strongest shield himself. "Lets get nasty." Finishing those words Ray expelled several blades of winds from his gullet, upon his brother quick enough that even a regular EMS user would have trouble keeping up with them as they crisscrossed several times creating almost a net of wind blades that only seem to expand as it crossed to Jay, threatening to dissect the man with ease. When his brother mentioned kicking things up a notch, he knew they were on the same page about things. He would smirk and watch his brother transform, but he wouldn’t leave the man to be alone in his endeavor. Like his brother, his power would surge around him as well. Although, unlike his brother, the aura of the chakra cloak surrounding him with be a bright Azure with black lines along his skeletal system with a ring of tomoe around his neck. His nails turned to claws, and his red eyes faded to be replaced with the yellow and green tones of the Two-Tails Nekomata. A pair of feline ears would sprout atop his cloaked head and twin tails would sway behind him as he finished his ascension into this state. He would ultimately wait on the reactivation of his Dojutsu, until provoked by his brother. With that in mind, he would swipe his right arm towards his brother in a sharp crescent arc. When even a simple swipe from a lesser (Matatabi) enhanced being could bring about tremendous results, adding his own impressive stats onto the fact and the resulting shockwave was more than enough to cause massive destruction to that side of the town. The technique his brother launched his way would be overtaken with minor difficulty, and the shockwave proceeded to launch the buildings backwards and maybe even his brother as well. If his brother had been caught in the wide-spread shockwave, he was likely to be sent back into the surrounding forest with the destroyed buildings. But, he wouldn’t remain where he was, immediately pushing forward with incredible agility and crossing the devastated landscape with a single leap. The strong force of winds, despite not being chakra formed, would act as a deterrent for his brother’s smoke form, keeping him intact on the threat of being blown away across a great distance. He was always ready for deviations from his original plans, so he always had such thoughts at the forefront of his mind, simply ready to adapt if ever needed to. Having adapted a more Inuzuka style of formation, he would give chase after his brother, appearing to his right. With a left swipe downwards to his brother’s midsection, he was already using the lack of EMS on both of their parts to send another shockwave and a trio of Chakra Arms after his brother. The previous direct contact would result in a split second of separation as the longest and largest of the three chakra arms would continue to push his brother’s body down into the deep gorge of earth, effectively wrapping around it like the giant hand it was. The long chakra arm would have a firm grasp on his brother’s upper body with claws digging into the pseudo strongest shield. This also was working in part to prevent his brother from utilizing the body flicker technique, not at all canceling it out, but making it pressing to use it effectively. The other two chakra arms around be spiraling around the large chakra arm with a pair of Big Ball Rasengans that more or less resembled the size of the Ultra-Big Ball Rasengan that Jiraiya used against Pain, pretty much effectively making it that technique with Matatabi’s influence. The longest chakra arm would begin to retract in a jerking motion and once the planetary-sized orbs collided on both sides of his brother, the resulting explosion would expand the ravine even more and cover the dark space with a large flash of near blinding light and chakra. The explosion would destroy the chakra arms, but because they were only chakra, it wouldn’t be a real lost for the Nara as he waited for his brother. If all went according to plan, his heterochromatic pair of eyes and senses would be on the lookout for his sneaky brother, perched against the newly made cliffside. Ray's eyes flicked to that of his EMS during his final moments of spitting out the initial waves of wind. He smiled as he began building chakra in two separate places. The first being his throat and the other his chest. When he had built what he needed he waited. Now with his EMS reactivated tracking Jay would be easier as Ray jumps into the shock wave to lessen the damage taken, and being taken with the incoming wind. Ray did not initially avoid his brother, but rather when he appeared to his right did Ray finally release his compound jutsu. When he opened his mouth Ray spoke "Try harder!" The moment the final syllable left his mouth did the Ototon release creating a very loud boom noise, strong enough to stop movement in a bijuu temporarily. Being that Jay is harboring a cat, and is likened to the animal the more he uses her modes, it's only right to make the assumption his hearing is quite better as well meaning a loud noise would cause him adverse affects. The power from the Ototon not only has enough strength to temporarily stop a bijuu, it will bust the eardrums of any living being in the immediate vicinity and continue to reverberate in the body off bones and organs, causing extreme pain that would make you wish to kill yourself. This may not happen to Jay but the sudden outburst of sound should be more than enough to startle Jay for up to 5 seconds before he'd regain his normal senses which is long enough for Ray to use his other jutsu. Even with how things were proceeding, the man needed not his EMS to perceive the subtle reactivation of his brother’s Dōjutsu. With Matatabi’s being flowing through him, the amount of precognition he had was more than enough to support his sight the subtle acute movements his brother used to lessen the damage of his force of wind. As he gave chase, regardless, of course his brother had capitalized on the obvious weakness of the form, high sharp sound. Jay did have a solution to this problem, in the form of a pair of Silencer Buds, but they weren’t much help when they weren’t in his ears. Why, because they needed to be cleaned. He couldn’t even think of the annoyance of having to clean such small devices, but as his eardrums were assaulted, he could only wish he hadn’t been so lazy. Now that he was finished with the exposition of why he was affected, it was time for him to explain his reaction to be affected. Placement of characters and the speed of their actions weren’t entirely compromised between the two of them. However, his brother had made a most grievous mistake in enacting his plan so closely to his target. This isn’t to say that it was ineffective, but once it hit, Jay’s reaction to the sudden assault felt appropriate giving the circumstances. Due to already being in the process of his own form of assault against his brother, he wouldn’t stop it, nor would it falter, instead, it would grow unnecessarily ruthless. And since his brother hadn’t chose to evade, there wouldn’t be any doubt that he’d get hit. With his intentions shot to hell, the rage of being subjected to such a loud sound would cause him to complete the strike towards his brother with enough unintended force to completely bisect his brother at the waist, and create a deep and vast crater in the Earth below. Whether or not his brother still had the fortitude to follow through with the wind technique would be pointless because of the force the Nara had used. The simple air bullet would have to battle against the force of his punch, first and foremost, even despite their close proximity. Even with his brother’s smoke ability, and durability, putting himself back together would definitely be a hassle and a half. The creation of the crater would act like a Shinra Tensei to the edge of the Empty Town, only due to the fact that it happened straight downwards. The splash effect of the forceful punch pushed the Earth down and the buildings/trees outwards. While it wasn’t on the same effect of the Konoha Invasion Shinra Tensei, it was impressive in its own right, creating a clearing of dirt in 258 meters in every direction, and a multi-leveled crater every 50 meters, with the division of levels being 2 meters. The Nara would land around meter 133 from the inside coming out, making it the third level out of the five levels, while his brother would be more towards the epicenter, somewhere around meter #3 and/or 7. As he landed a few seconds (2) later, he could be seen holding his head as the ringing in his ear continued to affect him, the pain felt exhilarating to the immortal, but just way too annoying as Matatabi’s Chakra went about healing the damage. As she went about fixing him up, he would reach into his pockets and pull out four kunai, two in each hand. He would coat them in his chakra, a quartet of scripts surrounding them as he dropped one of them in front of him. He would swiftly step onto the kunai to force it into the ground, as he tossed the other kunai at three other points around his brother, the left and right reaching their desired locations 135, 138, and 142 meters in Ray’s East, South and North locations, as if they'd been fired from Cain/Abel while Jay was towards the West. While his brother wasn’t an Edo Zombie, he should still be suffering from the surprise of being bisected. Considering the man’s earlier regeneration hadn’t involved his smoke, it was safe to assume it would be the same this time… if he hadn’t actually killed his brother. Either way, upon reaching their destinations, the chakras in the kunai would activate and the scripts would spread out to form the Nara’s patented Four Pointed Implosion Seal. It needed no introduction for his brother, the script immediately spreading out to connect with each other in a huge cube of fluorescent white. Upon its complete creation, the very center of the cube would erupt in a white light, the gravitation pull increasing immensely and pulling the sides of the cube towards the center. It was reminiscent of Chibaku Tensei, pulling everything inside the cube towards the center. As a result of the implosion process, the crater would develop a deep hole, a glass cube being all that was left. His brother, if still alive, would be sealed inside the cube, along with a large chunk of the inner confines of the crater. The Nara, absolutely feeling better by this moment, would leap forward, just in time to catch the glass cube and hover above the hole, the wind a gentle cyclone around him. Hopefully the fight was finished with this, but he was always on the lookout for any changes in his intentions once again. ray hardly had a moment to change his attack of wind to that of strengthening his body though the doton technique when he is sent flying downwards into the earth, hid body cracking as his bones shattered, but still together in one piece, though rather bruised. As Ray flew downward, around the 4th level, the blood that spilled from his mouth reached the summoning tattoo adorned on his chest. A giant gray cloud of smoke masks the lower levels of the crater concealing the beast that remains hidden for only a moment. As Jay threw the kunai, a bellowing roar soon reached up with enough wind force to move the kunai in a chaotic direction and to disperse the cloud of smoke revealing the 7 tails, and Ray standing a top it. If Jay could see it that is. In a single swift motion the Nanabi, flew to the top of the crater, past Jay and well above the crater. There Ray sat smiling, his body in shambles as he stares at his brother. His demeanor could no longer be who Jay used to recognize as Ray. The leech made it's presence known to Jay by showing him what he has done to his brother. "That hurt man, however I am still kicking. Tell me, why do you care now about me and what it is I do hmm?" If the man was honest with himself, he wasn’t at all surprised to find his brother still around. It being why he hadn’t canceled out Matatabi’s Chakra Cloak. Even with the burst of wind, blowing the kunai off point was only going to make the resulting sealing much larger. Unfortunately for the Nara, the appearance of the Nanabi flying above the large crater, before the sealing technique could properly start. Its presence on the battlefield only indicated that his brother gave up the 20% of his total chakra reserves to summon it, meaning he was going to try and rely on the beasts’ he had at his disposal to keep him going. He wouldn’t waste any time himself, leaving the sealing formula to its own devices. Giving chase, in the form of a precise leap, he would use the Body Flicker Technique to afford him even faster speeds, more than enough to ram into the body of the Nanabi, giving the center of it’s body a monstrous swipe. The claws decorating the tips of his fingers would aim to leave vast gashes into the Tailed Beast, using a repetitive show of force behind the swipe, enough to vastly expand the Area of Effect, as well as send the Beast careening back down towards the northern outskirts of the crater below. If he was successful, the Nara would flip from the momentum of his swipe and bring his Eternal Mangekyo Sharingan back to life. This assault definitely would have kept his brother from speaking; also keeping the Nara from seeing the state his brother was in. While he was more focused on the Nanabi, he would still be on the lookout for any surprises his brother might have. He would immediately unseal Ignis once again, launching it down towards the Biju with such speed that made it seem as if it would strike the Biju before it would hit the ground. Though, they were more likely going to hit their targets (The Nanabi – ground, and Ignis – the Nanabi) at the same time. He wished he could have multiplied it, but he was simply out of actions. He would proceed to descend towards the ground, but he wasn’t left defenseless in the air, his Dojutsu watching closely. If everything proceeded as planned, he would see the Nanabi, and even his brother become engulfed in the sea of flames that were sealed within the brittle orb of ice. The initial hit by Jay would succeed, but in that same moment is the Nanabi hit, does it release a cloud of scale powder resulting in a blinding light gracing the battlefield from high above. The release of the blinding light would easily affect Jay due to the close proximity and the size of the blinding light being release covered well over 500 meters in terms of strength of the light. Jay, being as close as he is would suffer greatly, while Ray closed his eyes only a few moments before. If successful in the endeavor of blinding Jay in close proximity, would the second half if this jutsu go off. Ray made a single handsign and when he does, the scales, which were bathed in bakuton chakra, would ignite and create an explosion large, strong enough to turn his brother into ash. Of course Ray would be flying away on the nanabi, whom would suffer slight burns at a cost but not a very big one. With this Ray had finally hoped to finally return his brother the favor. Popping a chakra pill in his mouth as the duo hang outside the blast zone does Ray sigh. His brother sure is a difficult being.